Villupuram/Chennai: An academically ‘bright’ daughter of a farmhand in Senji of Villupuram district committed suicide after failing to clear Neet, police said Tuesday. Pratibha had left behind a suicide note saying her dream of becoming a doctor was shattered as the questions were too difficult for her to even understand, police said. 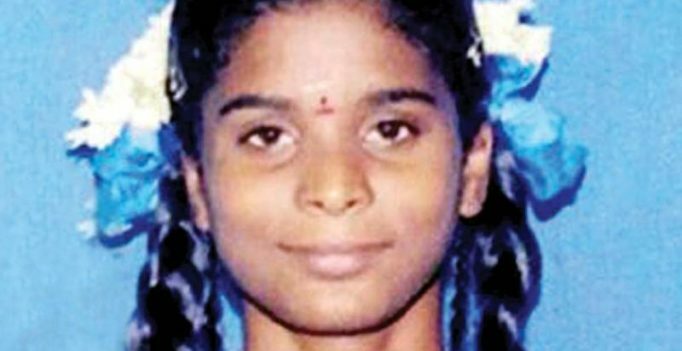 Dalit girl Anitha from Ariyalur had ended her life because she failed to clear Neet last year, triggering widespread protests across Tamil Nadu and renewed demand for exemption of students of Tamil Nadu from taking Neet for entry into medical and dental colleges. According to the police, Pratibha was “very much focused” on becoming a doctor right from her early school days and this was her second attempt at cracking the Neet; but her education in rural Tamil medium school did not help her. Closer to truth: the archaic state board syllabus failed the students like her — education minister KA Sengottaiyan had only last August began the process of upgrading the state board syllabus to take it on par with the CBSE. Result: After securing 490/500 in class 10 and 1125/1200 in class 12, Pratibha ended up getting only 39 out of 720 in the Neet and had told her family with tears in eyes that she was not even able to understand many questions in the paper. The 19-year-old girl consumed poison and was rushed to a hospital where the doctors found her condition to be critical and referred her to a larger medical centre. She died without responding to treatment, police said. IPL 2018: Who qualifies for final if CSK vs SRH Qualifier 1 does not take place?